The Best Kept Secret is out NOW! The original Tai Chi that made the art's founder Yang Lu Chan invincible and that was taught exclusively to the Imperial Palace is finally out in the open! The internal power of the mind and energy is no longer the property of a select few it is now the property of the world! With the passing of the last bastion closed door policy gatekeepers, Wang Yong Quan, who was sworn to secrecy, the door is finally open. The late Grandmaster Wang prior to passing on decreed to Master Wei Shu Ren, fifth generation that this Tai Chi must now be shared with the world. I met Master Wei Shu Ren in 1995 and was in awe of his demonstration of mind and chi power. My first exposure to this Tai Chi was in 1994 through one of his casual students. At that time I thought I had already learned the essence of Tai Chi. I never thought my life would transform so significantly from that encounter with Master Wei. I started learning Master Wei's style of Tai Chi out of curiosity. It was not until I actually felt his power that I knew this was the real thing. I already knew how to uproot at that time relying on shifting of weight and capturing an opponent's territory. Uprooting is the ability to move a person off the ground and propel away with significant force a very important skill in Tai Chi. Master Wei tested my uprooting skill and to my dismay he was unmovable. The feeling was like hitting a rubbery brick wall. When he tested my rooting, it was a totally different story. I just flew off like a little child when he gently placed his hands on my arms. Yet he hardly seemed to have moved. Now that is something! Here is a master who can send a person flying without much movement! I was formally inducted into Master Wei's inner circle as number 22 disciple in 1998. 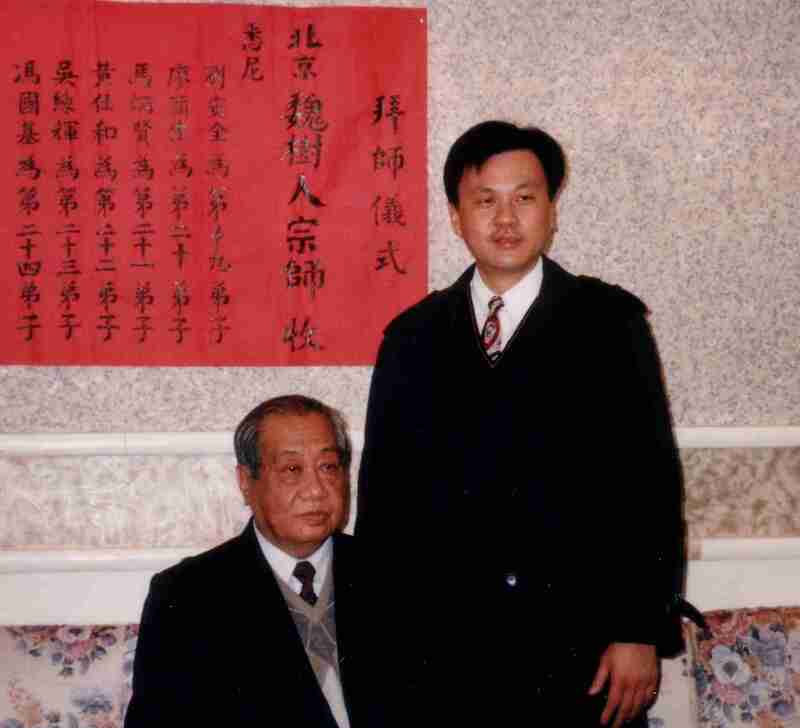 From that point I made numerous trips to Beijing to receive the direct transmission of knowledge and skills from him. Master Wei has many students especially in China but was a bit disappointed with the level of their commitments. It was understandable because making a living in Beijing could be quite competitive and for overseas students, it was difficult to make frequent trips. He was impressed with the dedication and commitment I put in to mastering his Tai Chi. Master Wei had painstakingly imparted his knowledge on my old dog mind that always seemed determine to maintain the status quo. It was the case of teaching the old dog new tricks. For instance when he said the power did not flow through the contact hand to uproot your opponent but via projection of chi to surround the opponent I said what? The logical mind always resists unfamiliar territory. So it had been a mind transforming journey that turned things upside down for me. My comfort zone was continuously challenged under the watchful eyes of Master Wei. His philosophical thinking was also very deep and unfortunately not many of his students appreciated this aspect of his mastery. Being quietly spiritual myself, I was connecting with him at that level and we shared many discussions on the nature of the Universe. 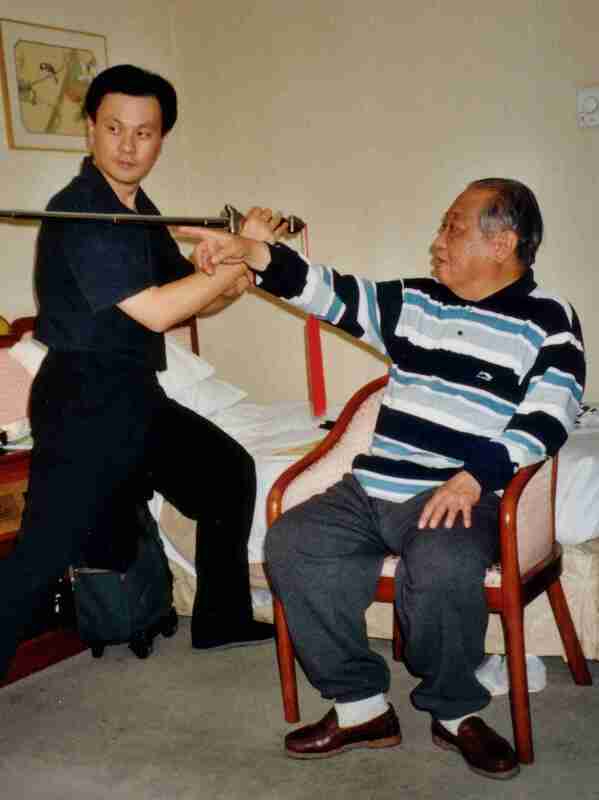 In a month-long visit in early 2008, Master Wei mentioned that he had already transmitted 90% of this Tai Chi to me and said that he could not provide the other 10% as it had to come from within myself. In other words, I had to develop my own personal insights and experience the Truth myself for the full transmission to occur. Thanks to his persistence and faith in me, I have finally grasped the essence of this Tai Chi. Master Wei is now retired. 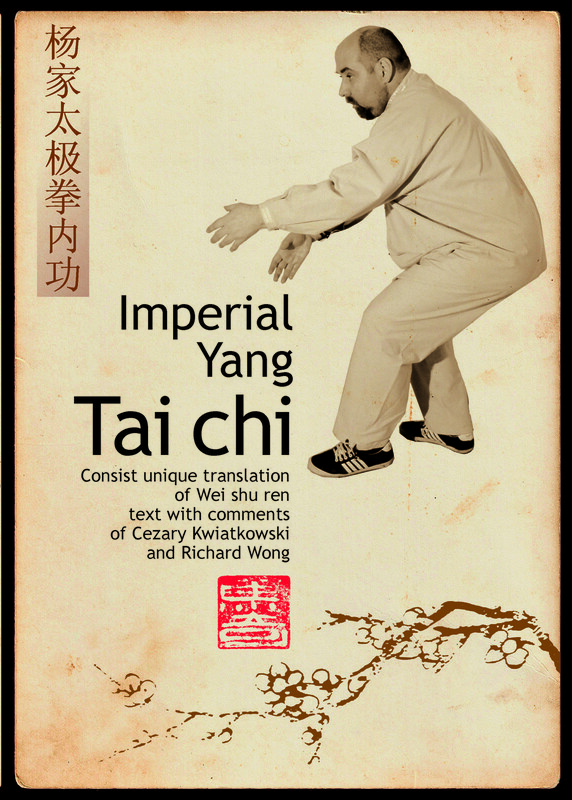 To learn the Imperial Tai Chi, please click Private Classes. To order any of products that help you develop this internal power, please click Internal Power.